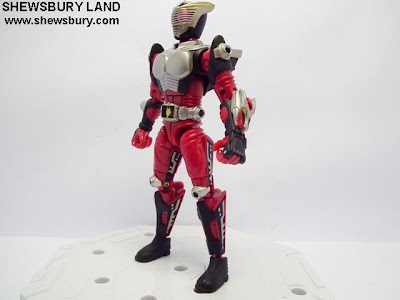 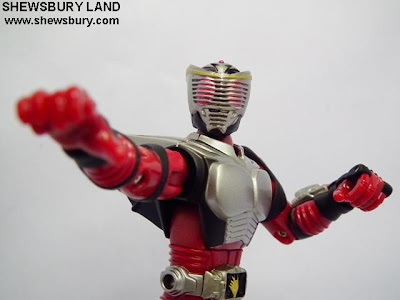 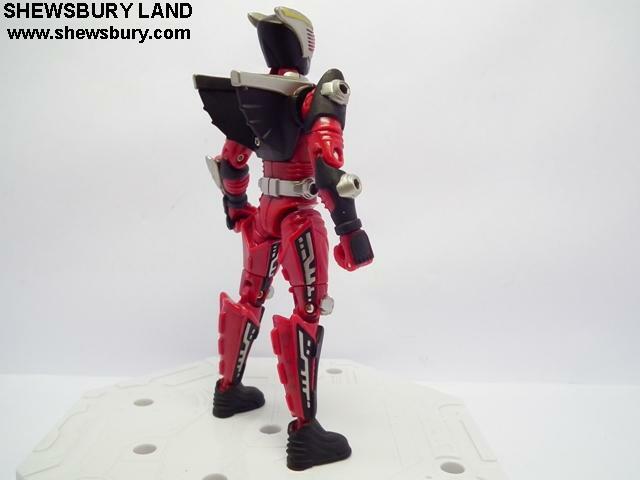 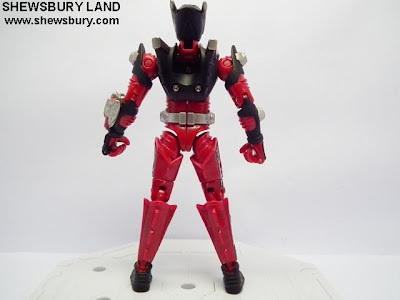 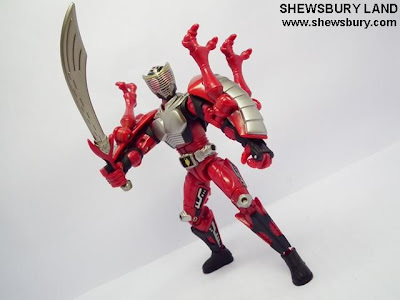 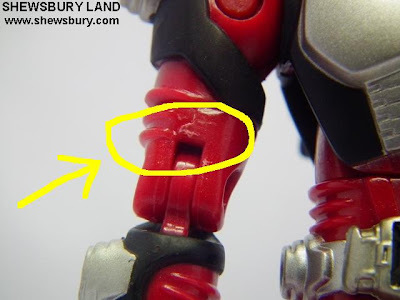 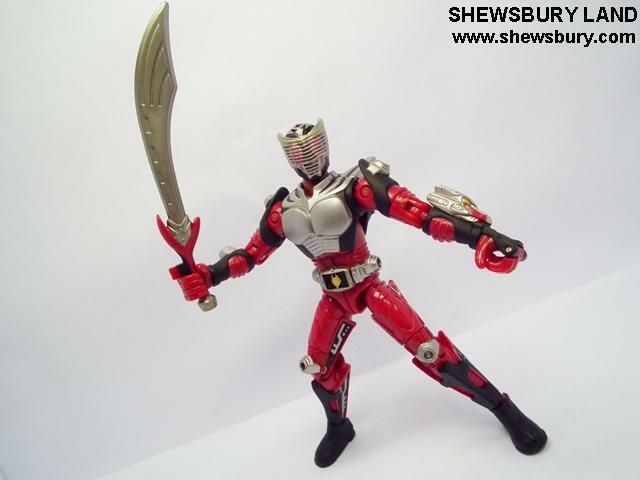 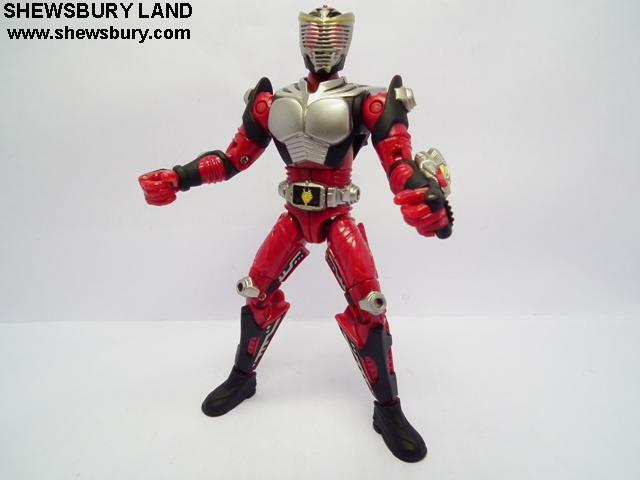 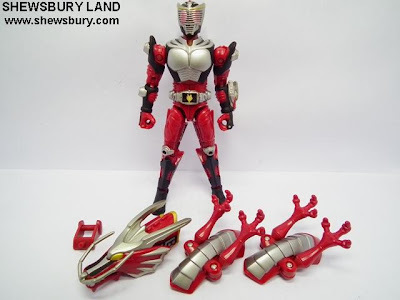 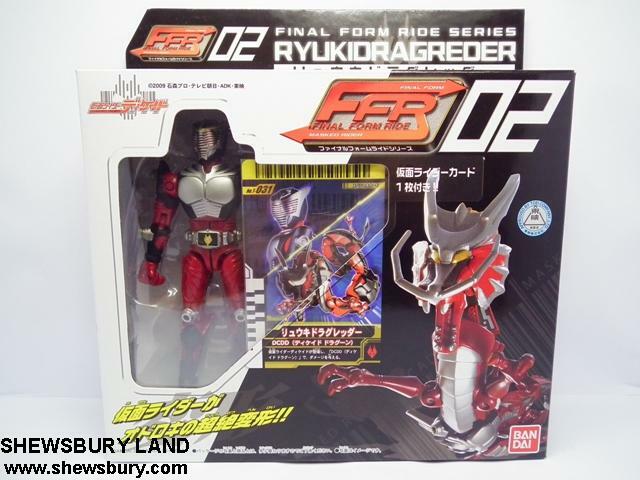 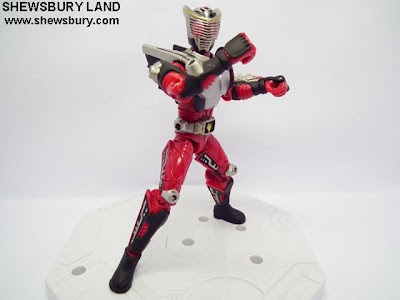 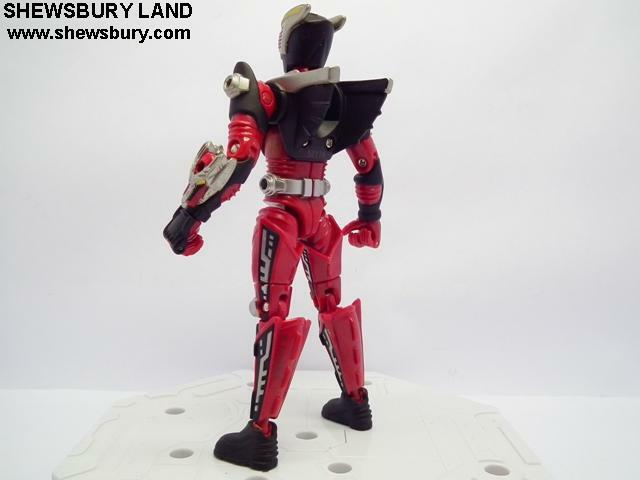 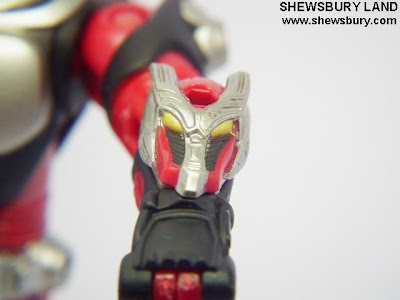 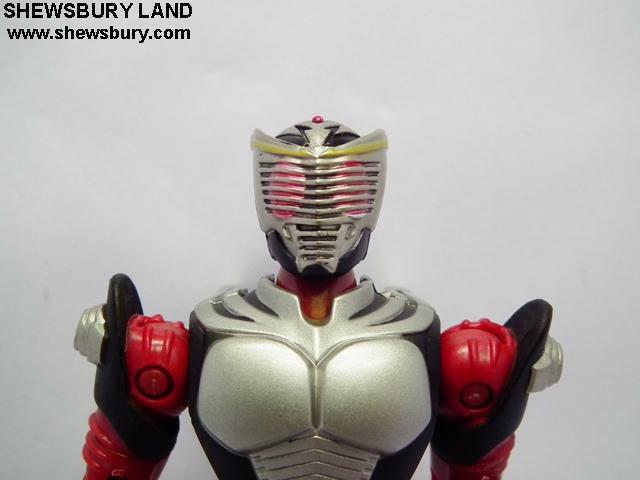 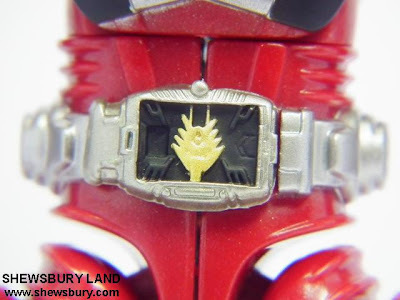 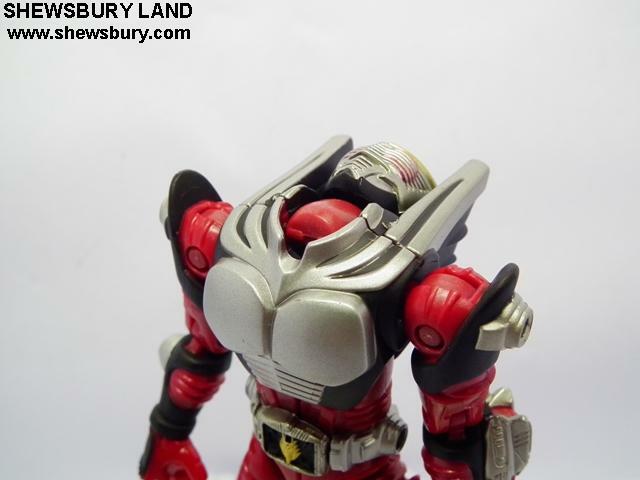 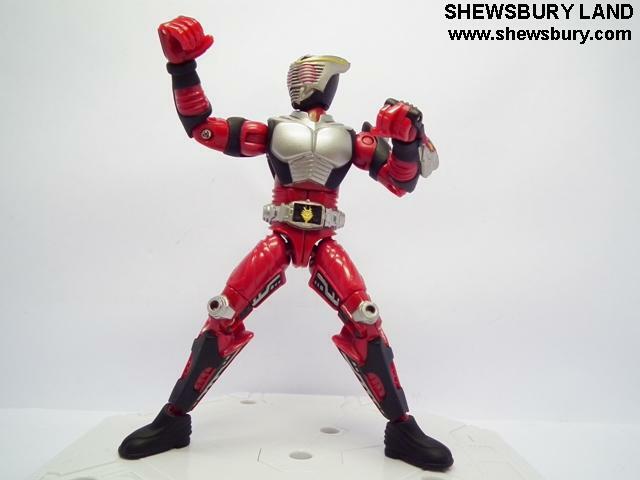 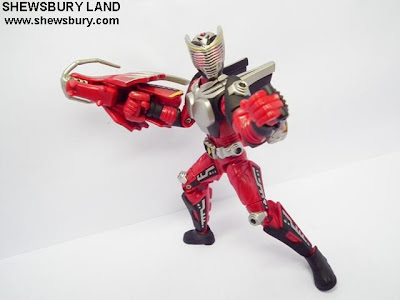 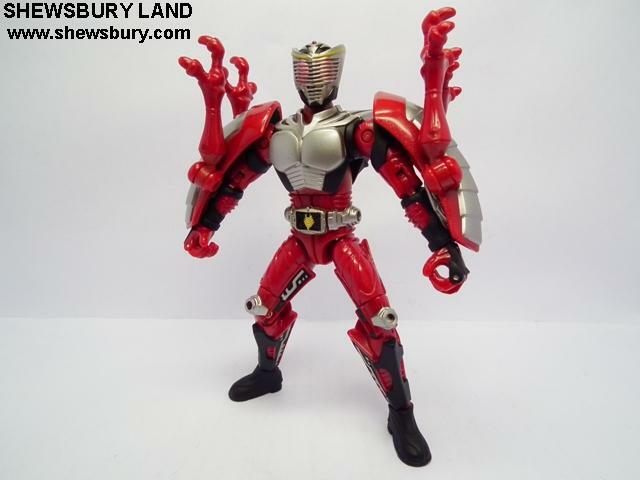 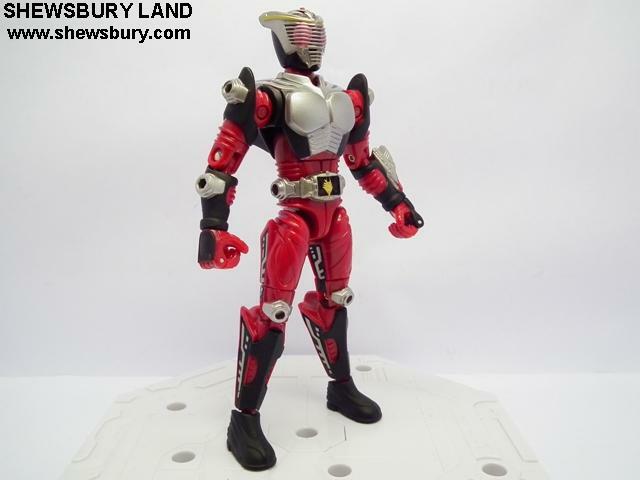 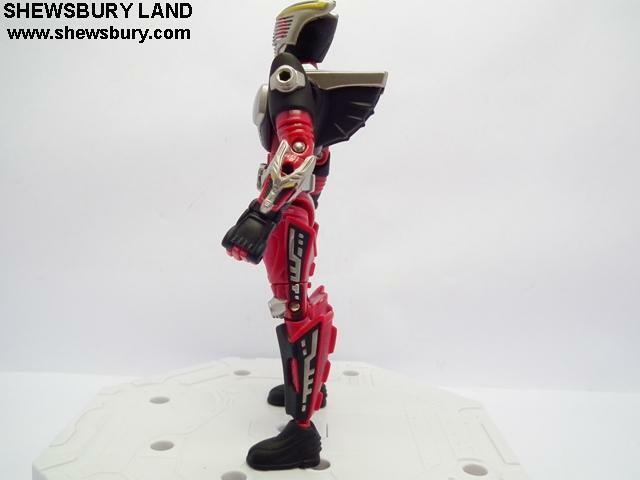 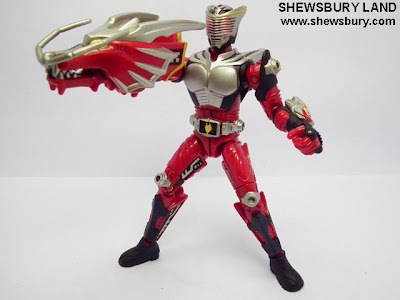 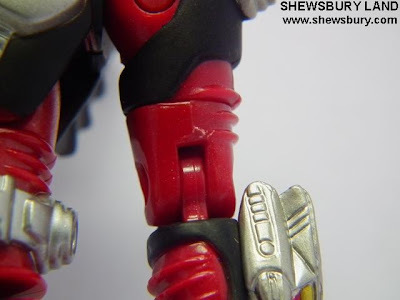 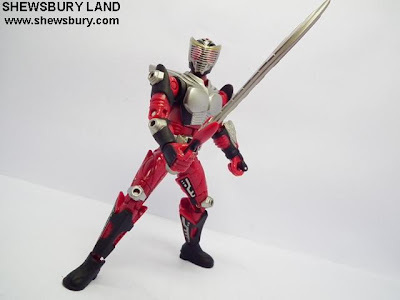 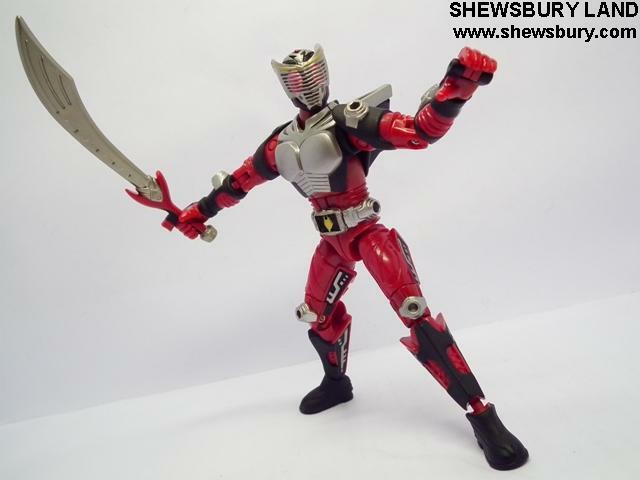 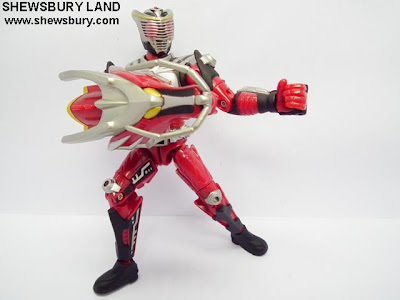 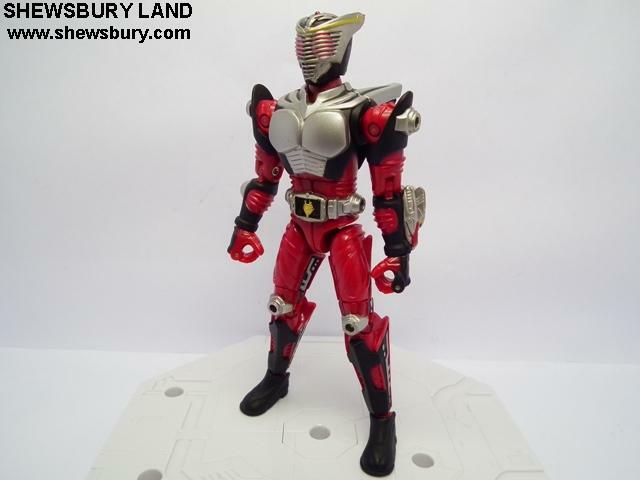 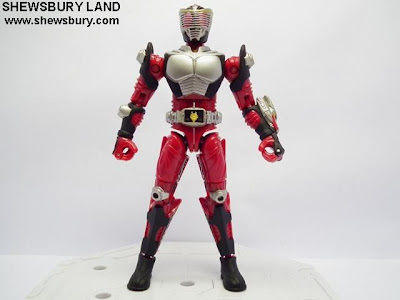 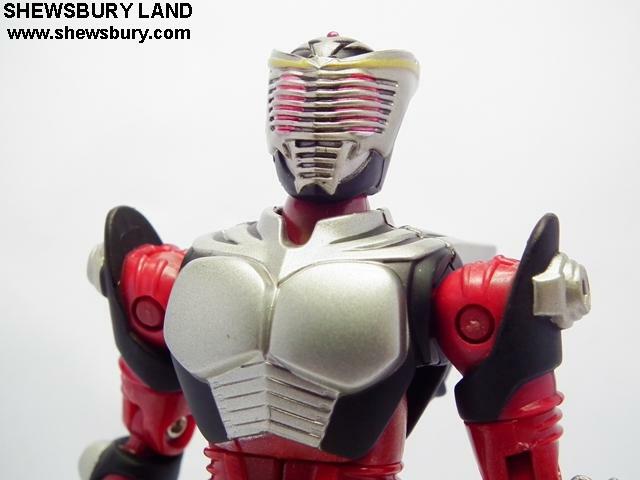 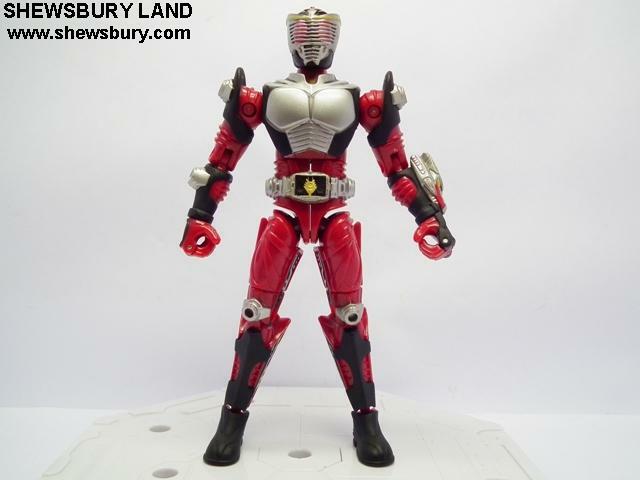 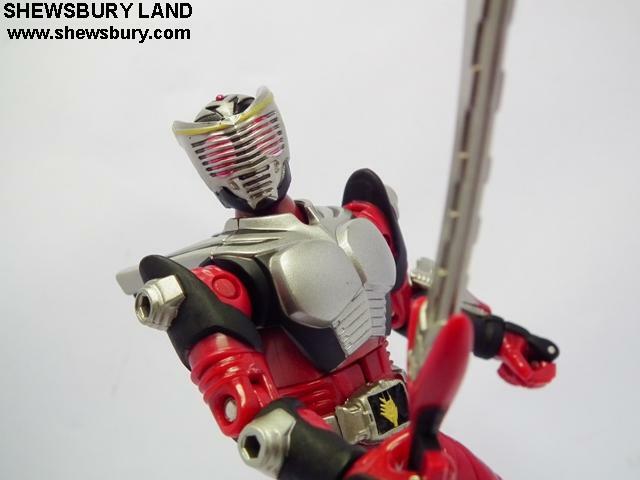 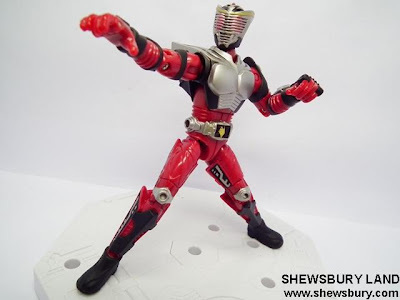 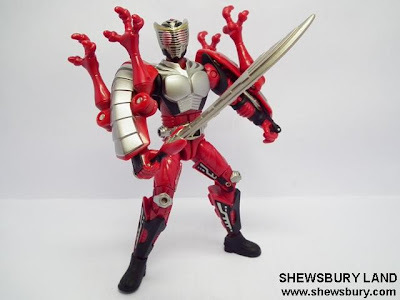 This is the review of Final Form Ride FFR02 Ryuki Dragreder. 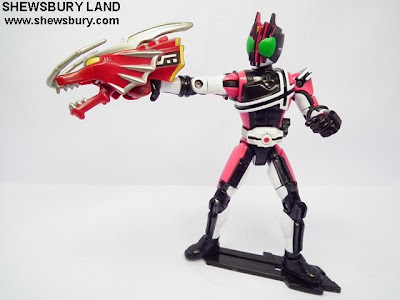 - The Drag Claw - a dragon-headed gauntlet on his right hand to shoot a burst of flames assisted by Dragredder (Strike Vent). 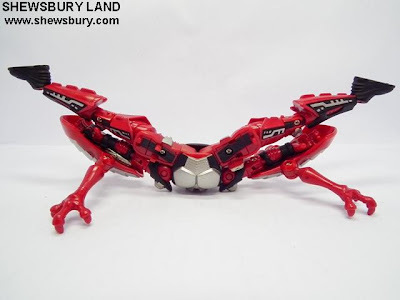 - 2 Drag Shield, dragon-like shield arrays that attach to both of his arms (Guard Vent). 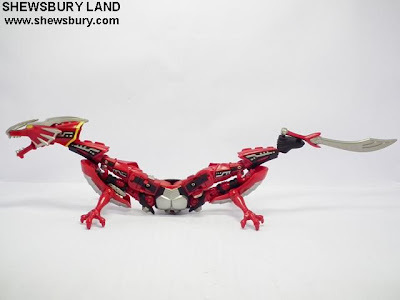 - The Drag Saber, Dragredder's broadsword-like tail (Sword Vent). 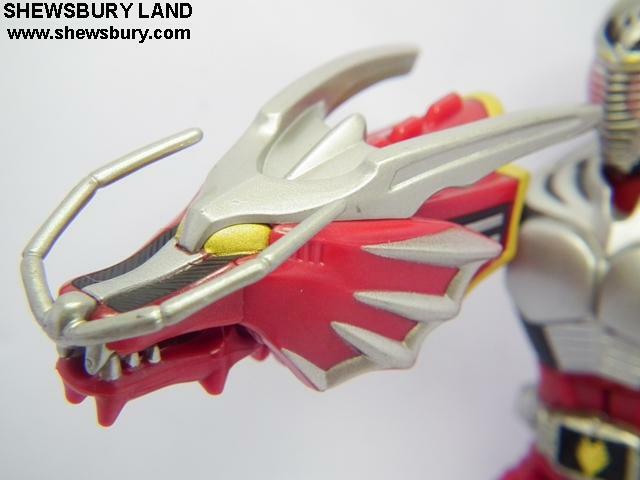 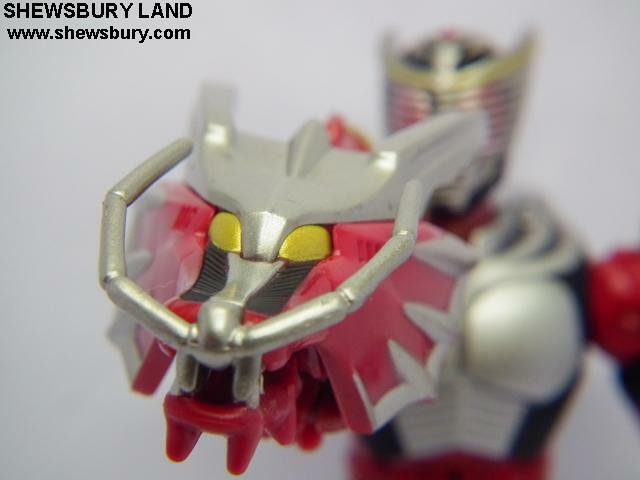 The detachable big dragon head to be used by FFR Kamen Rider Decade. 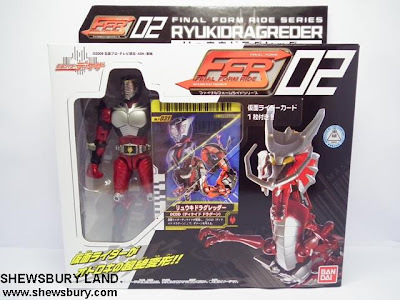 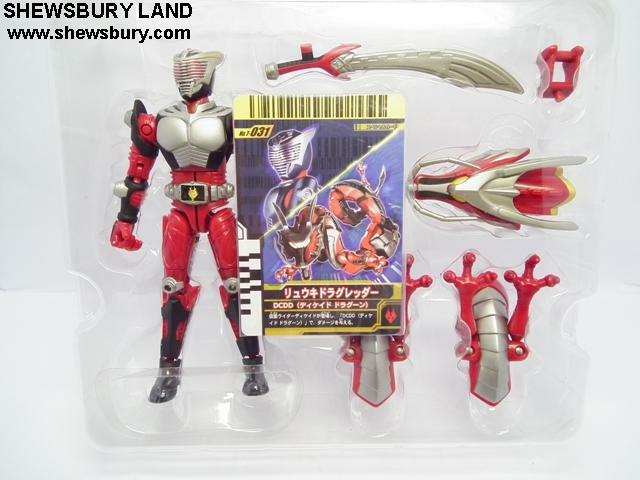 Also included but I just leave it on the box is the "Ryuki Dragreder DCD (Decade Dragoon)" Kamen Rider card that can be used with either the Henshin Belt DX Decadriver or the "Kamen Rider Battle Ganbaride" arcade game machine. 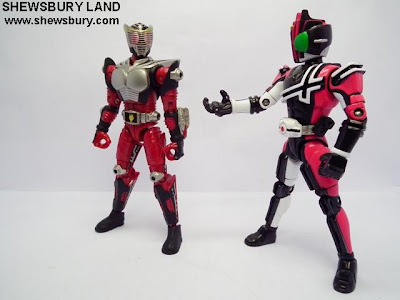 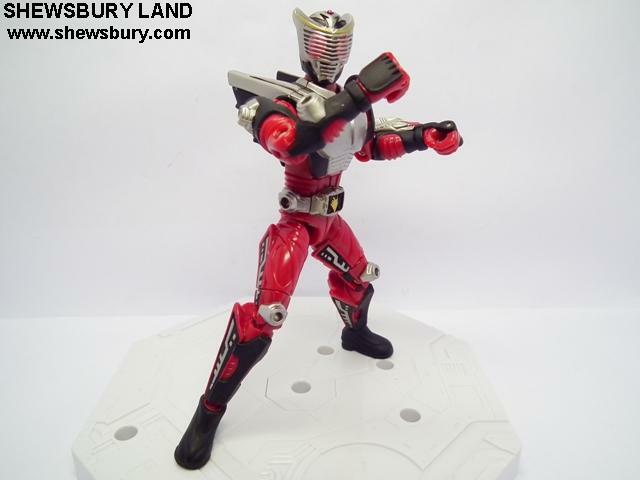 Articulation is just average, with lot's of efforts we finally can get this kneeling pose - - but honestly it's not as good as what Kamen Rider Decade can do. Other than that, everything seems to be OK, the belt design and finishing is not extravaganza but quite good. 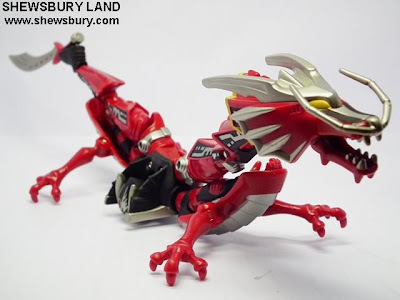 And now the transformation process.... this is very cool... Ryuki can transform into a Dragon to be the Final Vent. In this Final Vent, Dragredder is summoned to assist with Ryuki's Rider Kick called the Dragon Rider Kick. 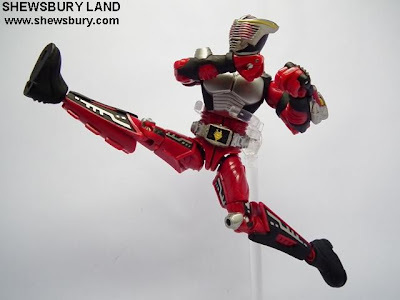 It consists of him jumping into the air, delivering a flying side kick powered by Dragredder's flames. This is off-topic from FFR series but somehow related to Ryuki. 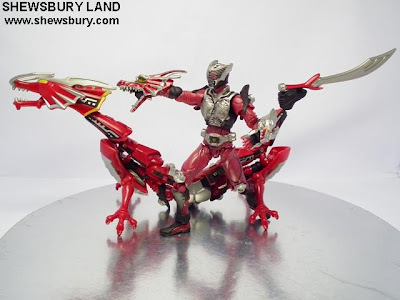 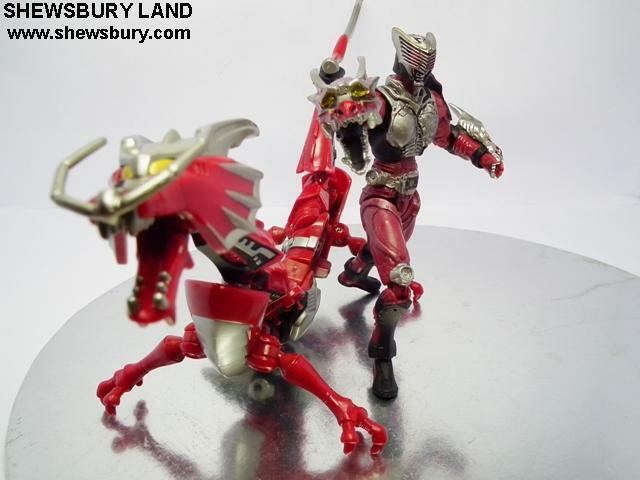 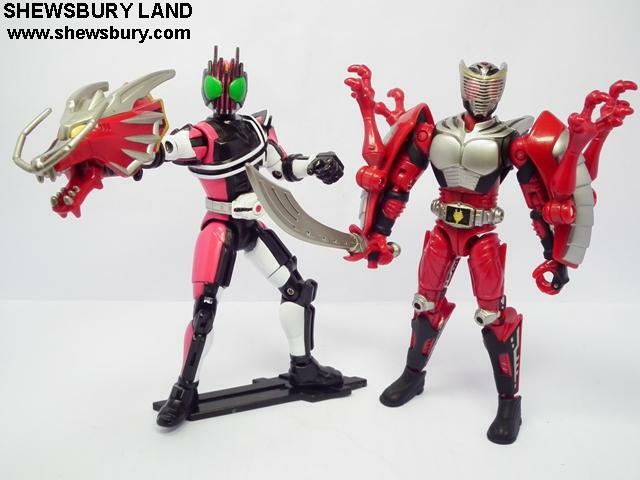 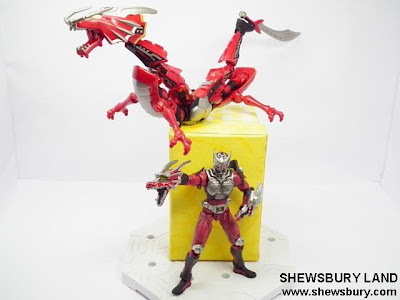 I love it and I don't mind to leave this Ryuki in this Dragon mode and display it alongside the SIC Ryuki. 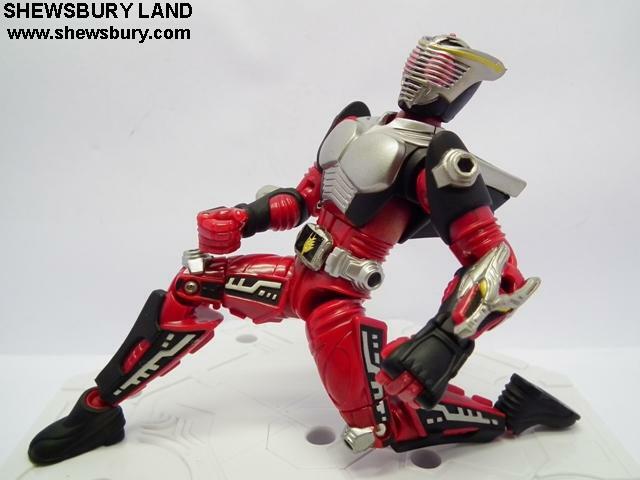 Overall, FFR02 Ryuki Dragreder does not excel pretty much in articulation and dynamic movement range of his limbs but somehow you can still do some action pose with limitation. 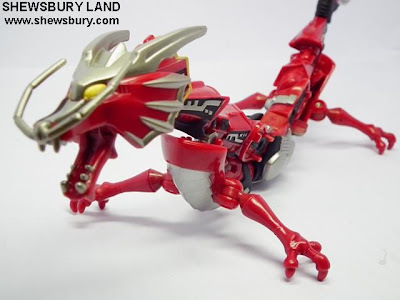 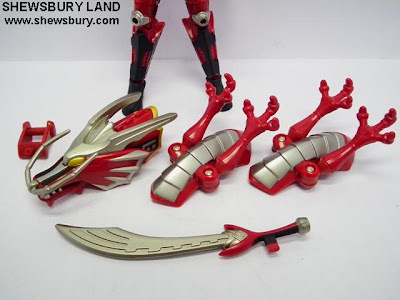 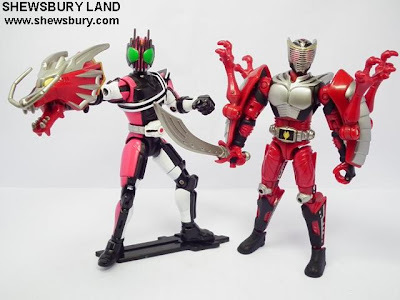 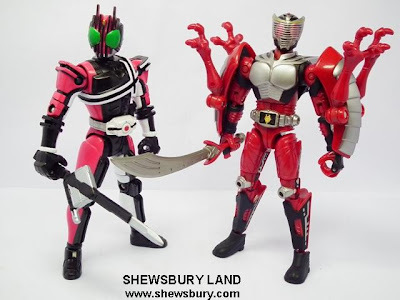 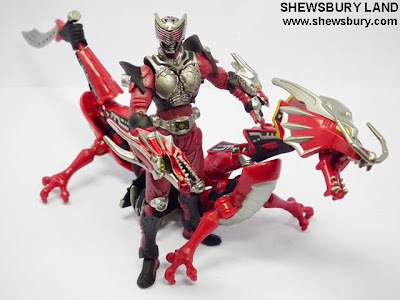 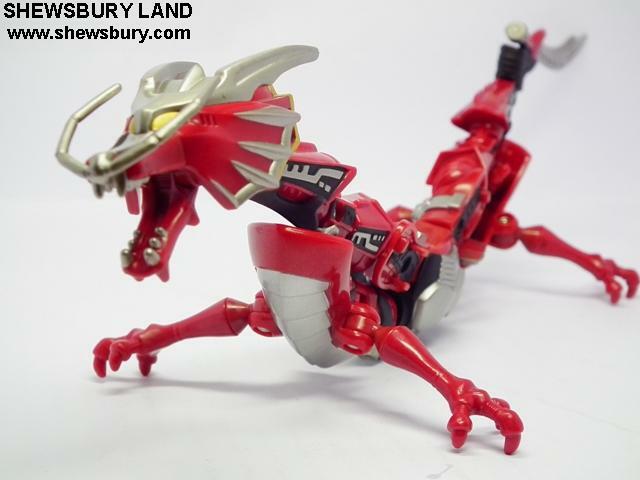 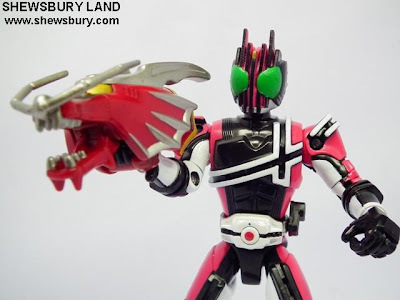 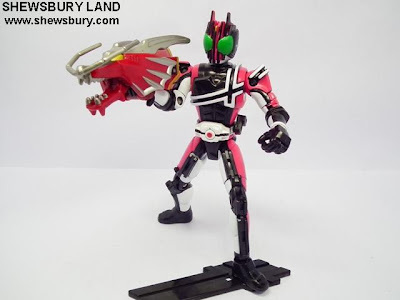 However, despite that weakness, this Ryuki can transform into a Dragon and I personally feel that is the main reason we would want this figure. The only complain I have is those ugly cutting marks but I think that must be only to this specified item. 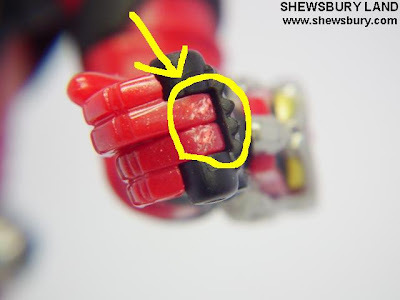 As for painting wise, the semi gloss color is not helpful as it give this cheap plasticky toys feel to this figure - but this can be solved by applying some Matte Top Coat onto this figure in which I will do very soon. 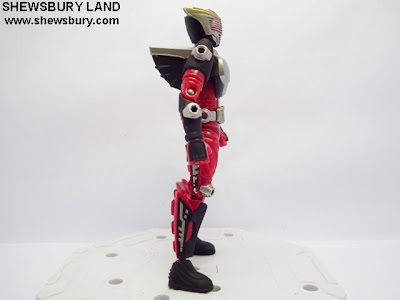 Again, for 2,500 yen (about SGD 40.00) I think I'm happy with it but if you search in E-Bay, some seller in Hong Kong sell this item for a mere SGD 30.00 equivalent - at that price, think no further, grab it quick before its gone. 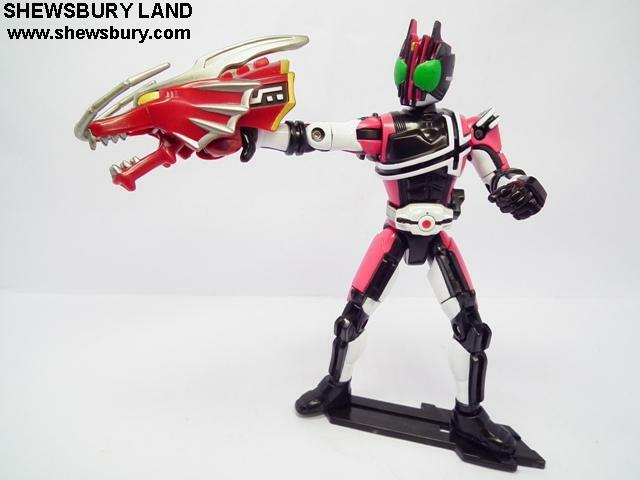 hmm.. as marzz said, for me SIC is way better, but putting it in it's Dragon Form actually could be a good pose..
btw DJS care to trade link?